For as long as I could as I could remember I have always been somewhat of a loner. I remember as a child, none of the other kids really wanted to play with me. Yet, I was often described as flamboyant and vivacious. I used to think my personality may have been "too much" for people sometimes. I was quite headstrong and always did/said what I wanted. However, I always yearned companionship. During the whole MySpace era I remember making fake profiles and commenting on my photos to give the illusion that I had friends. Although, at the time, I considered myself a fun, outgoing, and funny person. I repelled people. As I approached my late teens/early 20's my soul kind of disappeared. I often don't feel like I am the same person I used to be. I google this a lot. It's the feeling of not feeling connected to yourself anymore. Sometimes I wonder if I am an empty shell or a soul-less body. I can't feel much anymore. As of a few years ago, I have had what feels like a dark cloud over. It has been a series of unfortunate events. I have had to deal with many loses. I made a list of good/bad times in the 5 years and the list of bad doubled the good. For instance, I haven't been able to keep a relationship in my 20's. I can brush off the relationships in my teens and early 20's because at that age, relationships likely don't work out due to not knowing who you are. However, I'm 27 now. I have never been in a serious relationship. It seems men come into my life and leave when things seem to be going well (atleast from my perspective). My last "almost" relationship ruined me completely. I would say prior to dating this guy, I was holding on to life my a few strings. When I started dating him, I felt a very strong connection. His mom died while we were dating. I helped him through that whole mourning process. I stayed with him through his darkest time. He told me he wanted to marry me and start a family with me. He even talked about the number of kids he would like to have with me. Things were going so great. I started getting excited that this was probably going to be my first real relationship. I told my family and friends about him. Then out of nowhere, he started acting distant. Eventually, he forced my hands into a break up when he started snubbing me. We only dated for 4 months, but that relationship took a toll on me. I feel like the last bits of life I had left in me died when that relationship ended. Since then, I've dated a few guys. As usual, just when things are picking up-the guy ghosts me. I don't believe I'm ugly. These men shower me in compliments. One guy saying I was one of the most beautiful girls he has ever seen. I don't think I have a boring personality or a pessimist. I don't see a logical reason why these relationships are not working out. I just think I have bad luck. The same with friends: I can never keep friends. After some time, people turn on me. They start gossiping about me or making fun of me. I am always the odd one out. Finally, I was accepted into an Ivy League school for grad school (best news I had all year). I was so excited, I made several Facebook posts about it. My parents told so many friends and family about it. It was a big deal. Unfortunately, I almost flunked out during my first semester. I went from being a straight A student to getting C's. I am currently on academic probation, and I need really good grades to stay in the program. It is really embarrassing because I know so many people that were not happy about my acceptance into the program. I feel like if I flunk out, those people will laugh at me. Last semester, I dropped a class because I was failing. I thought it was going to put me behind a semester. LUCKILY, that class was offered this semester and I was back on track with the rest of my classmates. Unfortunately, I started failing in one of my other classes and I had to drop the course. This course is only offered once a year so it puts me behind again. I helped my nana sign up for this program, but after about a 2 year process, we found out her application was denied. I started a business and lost all of my money that I invested. It seems like nothing works out for me. I feel like a dark cloud is over me or I am not meant to live this life. Today, I even baked some cookies. They turned out perfectly and I frosted them and decorated them. They looked so lovely, all for them to drop on the floor. Any bit of happiness that I have is quickly knocked down by the wrath of bad luck. Do you think I am a dark cloud, or there is some kind of curse that was put on me, unlucky, or not meant to live this life? Welcome to the forums, Jennie! Can you think of a reason why a curse would be placed on you? I agree, it does seem to be a curse. that would have to be some powerful curse though. And therefore, I would think there would need to be something very dark out to get you... or someone very powerful. Was there ever something or someone in your life that would do that? Have you been going through a horrible haunting? Or any signs specific to a haunting in your life? My parents come from a country where voodoo is a very common practice. My mom married my dad and her family hated him because he was poor but proud. Eventually, my dad found his way to the states, and made it to law school. He is now a very big attorney, and my mom's siblings have been someone jealous of her because they used to mock her and my dad for being so poor. Now, they are doing much better off than them (technically). My moms side of the family has always hated us. They never say it, nor do they do anything overtly hateful to show their disdain for us. However, I've always been somewhat of a empath. I can feel and sense things when other people can't necessarily see it. I get very bad vibes from them. I believe they have cursed my family. Going back to my parents, they became very financially comfortable at one point. I wouldn't say filthy rich. However, they were quite well off. Then my dad started a business in something he was good at. For some odd reason, the business failed and we got into so much debt. My dad had a hard time finding work after that despite him being very respected in his field. We all couldn't understand it. My mom became the breadwinner but obviously, with debt and a loss of income from my dad things became tight. My dad finally got a job and we received the news while we were in our home country at my mom's sisters house. My mom and I wernever jumping for joy. But again, I sensed a jealous/angry vibe coming from them even though they didn't show it. Unfortunately, after 2 years of working there, I discovered my dad started having an affair with his colleague. VERY out of character for my dad. Around this same time, the IRS levied my parents' wages due to unpaid taxes. Now my parents' have very little take home even though they are earning a good amount of money. Secondly, my brother is having so many issues. He hasn't been able to graduate college. He is older than me. Nor does he have any desire to do better in life. He is like a child stuck in an adults body. He is almost 30. We did so much research on him and took him to so many specialists. We think he has something called Peter Pan syndrome. It's sad because he fails all of his classes, yet he is brilliant. No trained professional can understand why he isn't successful. People literally listen to him talk and just listen becasuse he is so brilliant. They all think he is some big shot Professor or something. They are shocked to find out that he doesn't even have an undergrad degree. My sister also has self esteem issues and resentment because she feels her childhood was taken away by all the financial problems we had. They started when she was younger but my brother and I were older. Sometimes, I do really feel bad for her. I strongly believe this is all coming from my mom's evil side of the family. Even as I am typing this. My hand keeps switching which is odd. Let's say this is a strong curse: how would I be able to fight this? Or find the source? Can me and my family overcome this? Edited by Jenniescorner04, 31 March 2017 - 10:19 PM. I'm sorry, but what you suggest would be beyond my abilities to adequately assist. Would your family be willing to come together to discuss all of this? I have heard in such cases that the family needs to unite together in fighting such a curse. And personally, I would think light against the darkness would be the key. The light would be the light of Christ. There is, of course a fair chance that this isn't a curse at all. And others here would be better able to help you in sorting through all that. But either way, it's definitely been a heavy dose of bad luck and grief for your family. But know this, things can turn around for your family in a heartbeat. So I would strongly suggest you talk with your family and devise a plan. And even treat this as if it were a curse either way. Your true fate is still out there, Jennie... and it's not hard to see it coming through for you. I think you know what you need to do. But just remember, despair breeds despair... don't let yourself go there. Welcome to the Forums Jennie. It breaks my heart hearing how people been treating you. I've been there, I know how bad it can hurt. I don't know much about curses or voodoo and such, but I do know is when life isn't going easy, it's always better to talk about it. Letting the thoughts of negativity fester just brings more negativity. We are here for you, ghosties or no ghosties. if, as it sounds, you want to identify and address the root cause(s) of why you seem to repel people, have what appears to be an extreme case of bad luck, have had the feeling of losing your soul, and sense there's some sort of dark cloud or potential curse hanging over you and your family, an option is to look into 'Holographic Kinetics' and reach out to an experienced practitioner with a brief summary of your issue(s) and any questions you may have. If you feel like they're someone you want to work with, go ahead with a session. Note: whether or not an experienced practitioner explicitly references your concerns on their website, or has made available case studies with clients reporting the same issues you're having, they will most likely have successfully helped many people in similar situations (who's issues, when looked into, may or may not have turned out to involve anything you'd describe as a curse). Edited by True North, 01 April 2017 - 09:28 AM. I do not believe in curses and I think that if you were to stop believing in them your life would change. They work in your mind. Stop worrying about your brother's schooling. He's an adult. If he flunks out its his fault. You need to focus on you, not your parents, not you extended family, not your brother. Therapy may be good for you. Worry about getting your life in order and not getting into a relationship. "If you keep one foot in the past and one foot in the present, you will never be unable to walk towards a changed future". As long as you insist on blaming a so called curse on your present state of affairs you will continue to be a prisoner of your own fears. Make a new life for yourself but that will require strength, wisdom perseverance & belief in yourself. Do you have those qualities? 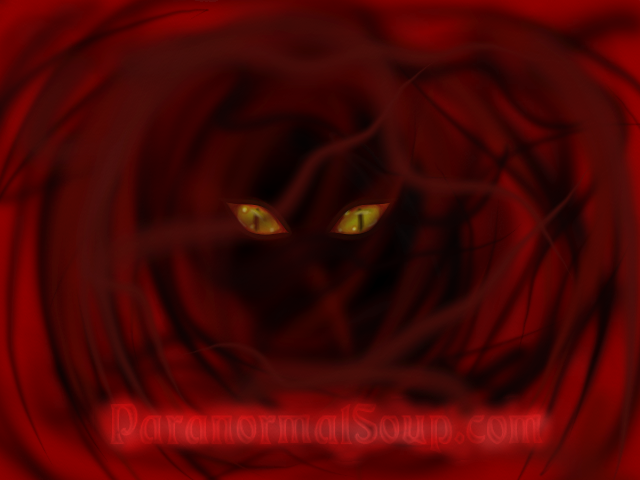 Curses may exist but they are as rare as true paranormal events. It's through positive attitude will you break the cycle. And stop dwelling on what's wrong unless you want more of the same. Edited by EVP, 01 April 2017 - 09:59 AM. The lack of empathy is kinda making me angry. I know you guys mean well, but when you are in a situation where you feel like you're life's burden and you go looking for people to listen to what you have to say, trying to connect with others,maybe make a new friend or two, and then a bunch of people automatically say "You need therapy. ", can come off as condescending and invalidating to the person looking for help. It takes a lot to really make me mad, and I like to think that I have been here long enough for people to understand my personality. I am a friendly, up-beat kind of girl. And usually when I get irritated, I just leave for a few days and come back. But I just feel like I have to say something, because I have been there, feeling broken. And it hurts me that someone else is there in that same spot. Well I guess this was directed towards me since I'm the only one who suggested therapy. I suggested therapy because I believe it's good to talk to someone qualified as well as not personally invested in the situations. In any situation where someone indicates an environment of hate, and also indicates there's potentially voodoo involved, I wouldn't be surprised at all to find some sort of curse at play... it's just not useful to make assumptions and I don't wish to encourage people to assume anything as creating these sorts of beliefs can get in the way of resolving matters. Generally speaking, you can think of a 'curse' as 'a consciously-directed disruptive projection, aimed at someone with the purpose of causing harm or grief'. Many unintentional projections though can have the same disruptive effects on people, if they are powerful enough, and it can be argued whether these should also be labeled as curses. Whether someone considers unintentional disruptive projections as curses or not, they happen all the time... usually where there's hate or jealousy that's concentrated/focused enough to penetrate a person's natural defenses (or lack of natural defenses). Keep in mind Jennie that IF you or your family have indeed been cursed as you feel is the case, sure this may play a major role (or even primary role) in some of the issues you've described, but such a curse could also just be a tertiary influence. Meaning, any such curse(s), again if present, would simply be compounding the effects of much more fundamental problems (that if resolved, would provide you with the most 'bang for your buck' as far as the results you'd get / as far as the difference it would make in your life). Edited by True North, 01 April 2017 - 02:11 PM. Okay everyone, take a step back for a moment and breathe. This is about Jenniescorner04. Jennie, Welcome to the forums and please take in consideration, some of what the others suggest. Worry about you, not about what's going on around you. You need to believe in and take care of yourself. Bring positiveness to your life. Relax. Go out and enjoy the sunshine and fresh air. Think of a memory, a time when you were the happiest. When your feeling down, visualize that memory, in your mind. It'll be that bright spark, which you can concentrate on. It will help you cope, when your feeling down; trust me it helps. And yes, even seek therapy. Therapist are trained and are unbiased. At this moment in your life, they can see things more clearly, than you. They can help you sort through all this. I particularly liked what EVP has shared... "Empower yourself....not your fears......make a new life...."
I think "True North" makes a good point too. "For instance, there are potential root causes of your own issues that others may share (you're both experiencing issues that stem from or go back to the same origin), and if this is resolved or changed for the better, other people (at least in part) will also experience the direct benefits of you resolving these." So as I considered the above statement... I would still suggest talking with your family. Something obviously took place at some point in your families past that disrupted the force, so to speak. Weather it's a curse or a family malfunction, it would be a good idea to explore that line of thought rather closely. FrootLoops... I think we're okay. The members were exploring all angles and possibilities. Which is probably a good thing. That way nothing is overlooked. But I can see your point, it could easily be taken as hurtful to Jennie and we certainly don't want to scare her off. Hope all is well with you, Jennie. Hi Jennie, welcome to the forums! I hope you're doing ok, and we are certainly interested to help you in any ways that we can. Perhaps if you're interested, you can look at going a bit of a ceremony to disassociate with those feelings and experiences from the past that are holding you back? Typically this could take the shape of a celebration of sorts, lots of positivity, white, bright lights and candles, blessings and things of the same. You might feel better moving forward if you draw a line in the sand in order to take steps towards a changed future. In regards to a curse I really can't comment on that as I don't know enough about the where's and how's of that, but you should seek advice from people who can provide you with reputable contacts. I'm sure we might be able to put our heads together on here to help with getting you some contacts if you need them. Out of interest, are you under the care of a doctor? The reason I ask is that 'black cloud' imagery is often used by people with depression. So it's good to consider the natural as well as the supernatural when we're making a plan for the way forward. Hope you check in soon and let us know how you are going! Snickers... does your youngest son have ADHD or something similar? Sometimes something as simple as that can be the culprit. It can actually hamper progress to the point where the individual kind of gives in to failure (to some degree) because it's easier. And that can be taken as a curse or bad luck. ..........Just thinking off the top of my head. This is kind of late, I just now saw this. My son is bipolar, but he is on meds for it and does quite well. He will have friends for awhile, then they all of a sudden don't like him anymore. But this is not all. He has the worst luck. Car breaking down way more than it should. Getting sick way more than normal. Missing out on so many things because his alarm didn't go off, even though he had it set for a certain time, getting taken advantage of by people. He is so helpful to others, and when he needs help in return, no one will step up and help him. Yet they still call if they need help moving something, or working on their car, or needing someone to drive them somewhere. So many things go wrong for him, I don't believe it is all related to his illness. I believe there is a dark cloud hanging over him. Too many bad things happen to him. Nothing ever goes right for him. I wonder about jenniescorner04, if you ever got things turned around? If you are doing better? What did you decide to do about everything? I'm hoping to hear from Jennie too... I hope things are better. Snickers... how old is your son now? And was he first diagnosed as ADHD initially? Then as he got older they realized it was Bipolar? Or Bipolar right from the start? As for the dark cloud... I think just having bipolar in and of itself can bring with it symptoms of bad luck. Am I close at all? I find Bipolar fascinating and I hear from many that have it... and they seem to attract other worldly beings as well. A lot of research could be done in regards to Bipolar and the paranormal / supernatural.... at least that's my current opinion.